The fifty-ninth episode of the Yes Music Podcast featuring the live DVD – Keys to Ascension. What does a DVD add to an audio recording of a concert? What was DVD production like in 2000? Would we rather not see how the pieces are put together? 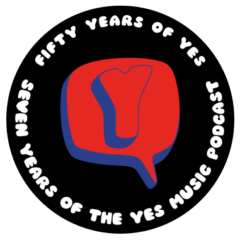 The fifty-eighth episode of the Yes Music Podcast featuring the pre-Yes band, Mabel Greer’s Toyshop. Listen and see if you agree with me that this band gives a fascinating insight into the development of Yes, then let me know by contacting me via any of the different routes on the right hand side or by leaving a comment below! Are any of the surviving recordings of Mabel Greer’s Toyshop worth listening to? What clues are there to the early sound of Yes? Why should we bother to remember bands like this?